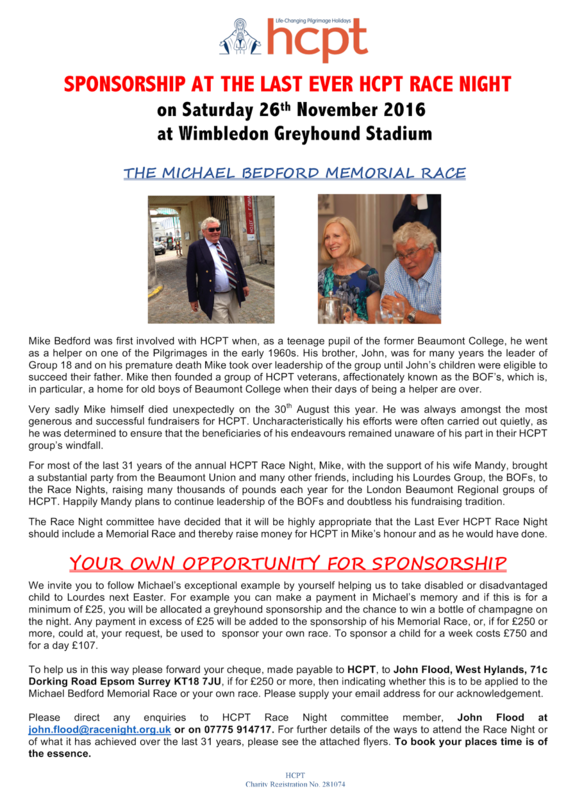 Draw Tickets: are available, please take some home, sell them to friends and family and then return the counterfoils and money – in a sealed envelope as soon as possible. Donations Needed - Good Quality items only please: Good-as-new, toys, jewellery, fancy goods, religious articles, your homemade crafts. No books, electrical or clothes items. Only bring in items which are new/almost new please! Bottle Stall: Please bring in bottles of wine, spirits and soft drinks. This wonderful stall is always popular and helps the atmosphere and the takings of the bazaar on the whole. Lucky Dip: If you have some nice little good-as-new toys or knick-knacks that children would love, please bring them in! 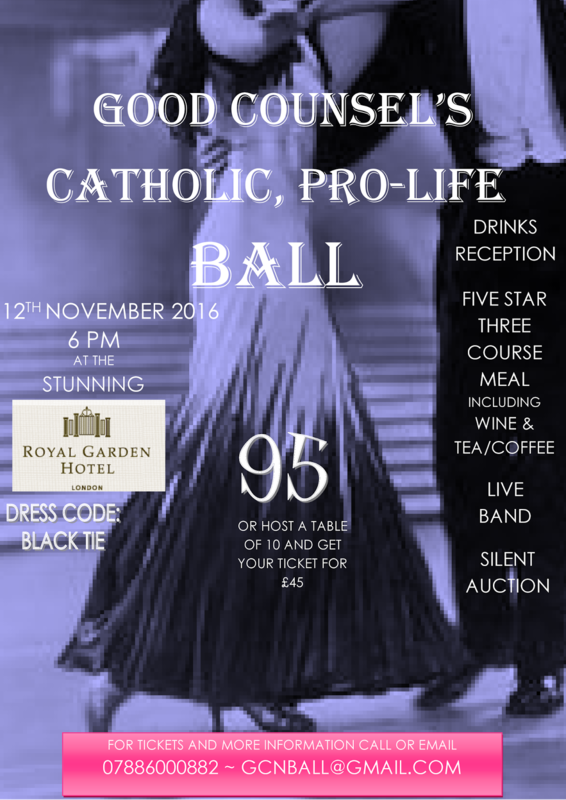 Dinner Bookings: We are now taking bookings for the dinner held on the Saturday evening – £25 per person. See Fr Chris today! Cakes & Heavies: Fr Chris has these lists - please put your name down to help with the furniture moving & set up of the club and school over the 4 days. Time is short - let us accelerate our efforts! 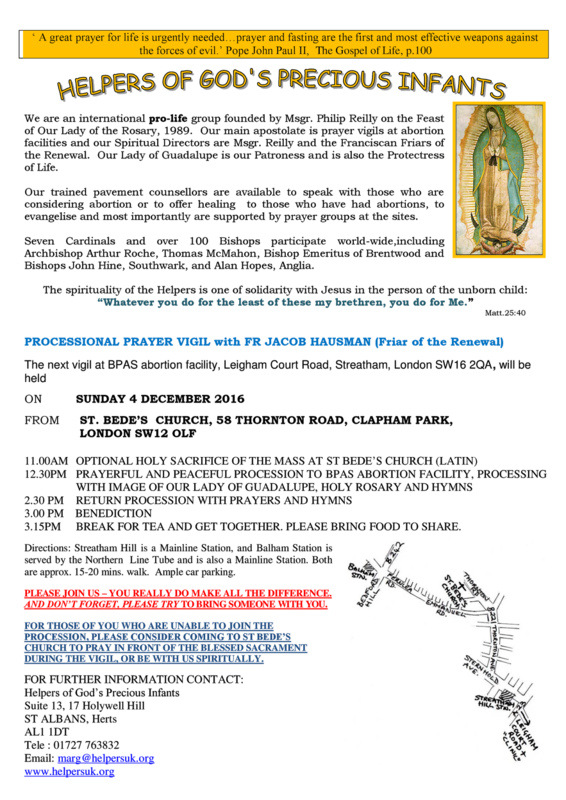 Thank you from the Little Sisters of the Poor: Last week’s appeal by Sister Marie Antoinette raised over £900 and Sister Marie Antoinette sent a thank you to the parish for her wonderful welcome. Children's All Saints Celebration: today after the 11am Latin Mass - there will be a shared lunch in the club. Special Sunday - Next week at 11am Mass: Next Sunday is Remembrance Sunday when we remember all those who fought and died in the World Wars and many conflicts since. This Mass will be a ‘Special Sunday’ with Cantores Missae providing the wonderful music and singing. Also at this Mass, we will remember all those parishioners who have died over the past 12 months. First Communion Applications: Please see Fr Chris this weekend if you haven’t collected your application form yet – child must be in Year 3 or above. Mission Red Boxes: The end of the financial year for the APF Red boxes is 31st Dec so if you have a box at home & it hasn’t been emptied this year, please bring it to one of the weekend Masses & hand to our priests. We will endeavour to empty, count and return the box to you ASAP (please check the table in the porch for your box). Can you please ensure your name is written on the white label at the bottom so we know who to return it to! Fr Pawel: goes off to Poland today for a week to begin his studies at Warsaw University. Welcome to God's Church: Felix Thomas Barton, son of Robert & Celine who was baptised a couple of weeks ago by his Great Uncle who is a parish Priest in Salford. We apologise for the long wait for some Masses: This year we have been very lucky to have so many Mass intentions – however they are outnumbering the days in the year! To date we have sufficient to fill every weekend Mass until the end of the year & some well into 2017 (9.30 in particular has so many intentions waiting - could stretch into Easter!). We thank you for your patience with us. Cleaners for this week: Trisha & Emma Johnson and Regina Curaj. Annual Pro-life Ball: on Sat 12th Nov at the Royal Garden Hotel, Kensington. Starts at 6pm. Please see the attached poster or check back for more details to be posted later in the week. Helpers to God's Precious Infants - Streatham Vigil: The next vigil in our area will be at BPAS in Leigham Court Road will take place on Sunday 4th December leaving from St Bede’s. 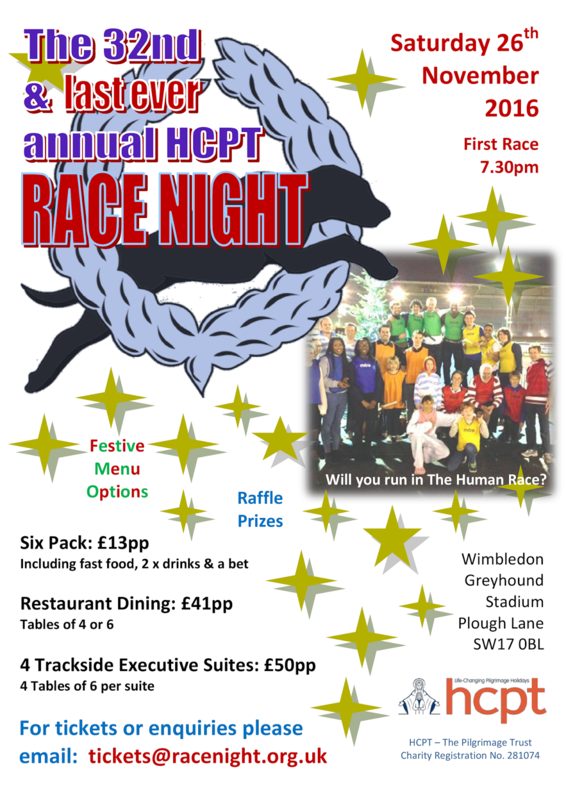 HCPT Fundraising Race Night at Wimbledon Dog Track The 32nd & last Race night to be held at Wimbledon Stadium (before it is redeveloped) will be held on Saturday 26th November.